Building niche sites that make money in autopilot has been always one of my plans. Since beginning of this year, I learned to use LongTailPRO (read my 3300 words guide here) and I created a niche site, monetized with Amazon affiliate program and Adsense. It ranked within the top 10 in search results for its keyword, generating a decent traffic and revenue, since then. In this post I want to share the strategies I used to build links for my niche site, ranking high for my keywords. Even after all the algorithm updates (Panda, Penguin, etc), Google still likes links. The question is: should you “build” links or “attract” them in a “natural” way? For authority sites, you should not build links; instead, focus on writing content with added value and marketing your posts and your online reputation. For niche sites, created from scratch, link building is still very effective. For example, I have “built” a very few links for NoPassiveIncome.com; but if I check, I notice that I have much more links pointing to my blog (yes, Chris, the previous owner of this site, did an amazing job in terms of SEO, but since I own it, my online reputation has come to a certain level, I receive a good amount of backlinks every month – see my interviews, for example). So for niche sites, after you find profitable keywords, the link building is the second most important part of the work to create a property that make money over time. With my niche site project, I focused on creating links considering the velocity and the diversity. 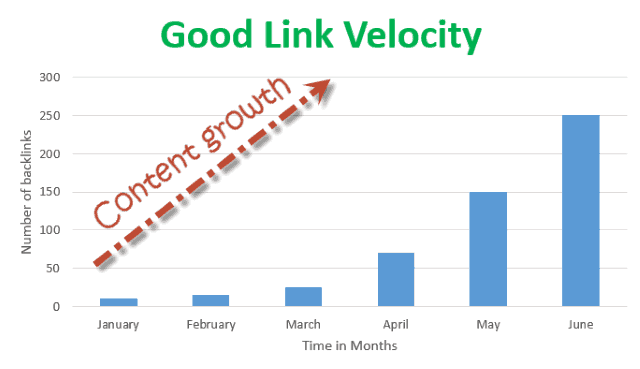 Link velocity is the rate at which you are building links. In other terms, you should create links proportionally to the content you produce and to the age of your domain. Don’t create 2-3 posts, then go to a cheap marketplace site to buy “A Thousand links for just 5$”, because the only thing you are going to achieve is just another penalized and unsuccessful site. The concept of link profile diversity is quite complicated. This term refers to the overall view of your backlinks and considers a big number of factors like the linking page types, content types, domain names, IP address, anchor usage, PR, degree of relevancy, follow/nofollow, and more. A “normal link profile” should have different kind of links and it is this diversity that helps to make your link profile looks “natural” and let Google loving your site (check more at QuickSprout: What Is a “Good Link Profile” and How Do You Get One?). So your plan should be diversify the sources and the types of the links you gain, so to create a natural link profile. This is just a list of ideas for creating links for your sites, but there are many more, of course. Let’s dig more into a few of them. Blog commenting is an effective way to get links and to receive fresh traffic to your site. Also, you can create new connections with the blog owners, where you post your comments. Don’t worry about getting dofollow links, just look for relevant content in your niche and leave meaningful comments, with your real name and the link back to your site. This is important to gain relevancy pointing to your niche site. A practical tip: go to Google and search for: “your keyword” + “leave a comment” to find blogs allowing comments, with reference to your main keywords. This is a great way to gain dofollow links. Just create a free account at these places and add unique and relevant content. Ok, so you are going to build a few links every 1-3 days, while paying attention to getting them from different sources. Now, another point to take care of is diversifying the anchor text. Of course this is just a guideline you should consider, but it worked really well for my niche site project. This is the last point of the link building strategy that worked for me. Second Tier Links are basically links to your links. The main goal is to let Google know of your recently built links. I basically used just social media shares and bookmarks, but you may want to use other strategies, like blog commenting too, for example. I want to point up that I shared the strategy that worked for me. You may want to experiment first, or to add these methods to yours. It took me around three months to rank my site within the top 10 of Google for my keywords. I created it the end of February, and today it ranks at position #4 for U.S. market for Google (3rd Yahoo and 22th at Bing). I created links for just two months (some more powerful, some less), 1-3 links every two or three days. Now it has officially around 40 unique referring domains and 1000 total backlinks, with 1000 total referring pages. I think you should aim to gain up to 100 base links, for niche sites. But it really depends on your keywords and its competitiveness. Do you want to know how I discovered the keywords to build my successful niche site? Check this post. Have you ever built a niche site? Do you have some secrets to share? Please add your comment below, thanks! Interesting take on link building. I have always been of the opinion that despite Google’s latest update, one of the factors that determine the rank of a website is the quality of links that link back to it. I am glad you confirmed that in your article. Link building does take a lot of work. For instance, from your article, it seems that to rank a website, one has to be a webmaster of two other web2.0 sites, that means owning a minimum of three sites in total. All these recommended practices or black-hat practices? The link building strategies listed in this post are all white-hat practice, Chioma. I’ve been using these methods to rank my niche site at #4 position for its keywords on Google U.S. I am glad and happy to read your success. 10 times more happy that you shared your tricks. I am also making one niche site but will disclose when made. your post will help me a lot to make my niche site popular and profitable. Glad to hear you enjoyed my link building strategies. I am very sorry for a late reply. Thanks again for your best wishes. I really like this blog. One week passed and I can say, niche blogging is better than anything else. hope you learn something new browsing within the blog. Hello Erik. Yes, there are many more ways to create links for your sites. These four are for me the most effective, most particularly in blog commenting. The key to leverage your success in link building is to consistently perform, contribute, and share and so on. Link building is not just the future outcome if you will do the 4 strategies. You can increase your Domain authority, increase sales, build new relationships, increase subscribers and increase your reputation. Additionally, in blog commenting, you can also educate yourself about the niche you’re in. Yes, aside from building links, it will increase your online reputation, together with creating awesome connections within your niche. Thanks for sharing these tricks. But we should very careful when creating links because of google updates. the link building strategies I shared are white-hat! Oh blog commenting….my fave Erik! I am sharing my free eBook on that now because too many bloggers ignore this powerful link building technique. Good note on velocity too; find a steady rate to make things happen. Thanks for the share dude! 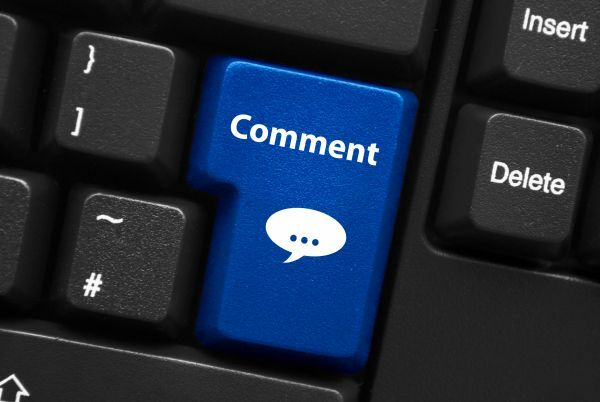 “How to Build an Online Empire through Blog Commenting”. I’m sure it will be fixed soon. Thanks for visiting and commenting, Ryan. It’s always a big pleasure to see you, my friend. I’m glad that i landed here at the right time. This is in fact one of the most informative post i have read. I liked the idea of internal links. I’m going to try it. Currently i’m working on writing an attractive meta description for my posts. I’m writing right now a post on “on-page SEO”. Really appreciate your time in posting this information, I was using blog comments on my college website It worked for some months and I was able to get backlinks which reflected on ahrefs.com. However for the last 2 week my comments on blogs do not go through. I suspect Google must have penalized my url. Thank you for this post. please advice on the way forward. want to go back and successfully post my comments on blogs in my niche. have you claimed your site via Google Webmaster Tool? You can check if your site is penalized there. Good list of links. There were rumours that article directories, forum posting are now consideered spam links but I think if they are done in the correct way, without the intention of just throwing a link but to provide value, then they would really be better as a source for link building. I found this post on Kingged.com. If you respect relevancy, velocity and diversity, those links building methods are still effective and Google updates proof. What is the one you like more? This is a great guide to link building. I never followed any practice of link building that may have my site penalized because I have heard so many stories of people being penalized. I like the strategies you have listed here and I recently started link building in Q & A sites like quora. I can say that I really like the strategy and I even receive visits to my website from quora, when I write a good answer that receives a lot of views. I have also been commenting on blogs for some time now and . that have been working well as well. I still have to look into blog directories and other ways you mentioned in this post to build my linking capabilities. Great post! happy to hear you liked this post about link building methods. Quora is really good for increasing your authority and creating new links, while showcasing your expertise in your field. If you are able to provide added value to readers, then your answers (and your site) are going to receive many hits and visits. Thanks for sharing your views and experience! Link building for niche sites should/must be done with consistent practicality. In doing this, value should be at the mind of the blogger/webmaster. Indeed, there are many ways to build links for niche sites but the most important tactics to be applied are often misconstrued. Link building should not be complicated but it requires consistent efforts in following the basic principles of engagements and value creation. This post was found in kingged.com as well. link building is part of the blogging game. And learning how to do it properly, without getting a Google penalization is the challenge. Hope to help some new webmaster working on SEO the right way. Thanks for sharing this topic. Link building is still a relevant strategy despite all the changes that google makes to their algorithm. I still find that, although it can be tedious, that commenting is the best strategy for me. I also want to get more into guest posting, Q&A sites like Quora, and using bookmarking sites. For me it’s time to work a little smarter now since I have a good routine than harder. I never built a niche site, but I see that it’s not too much different than building the site I have now so at least I’ll have an idea if I ever build a niche site. Thanks for sharing Erik! Have a great week! That’s right, Google STILL loves links! Bookmarking is part of the game. There are a few sharing sites you should start using every time you want to promote a quality post. Hope these tips are going to help you if someday you will build a niche site. Erik, I have to say that you did a very good job explaining how to properly build backlinks. Indeed, links are very important and they really help to establish authority in your niche, but the most important at this point is content. I have seen websites with no backlinks, over-ranking sites that have been around for years. So I assume not only content but especially fresh and updated content is what really makes a difference. And thanks for sharing your kind comment. Hope this post are going to help you build awesome links for your niche sites, Vicky. Yeah, those are still acceptable links in certain cases. But I’m a bit hesitant to recommend some of those techniques as newbies tend to abuse them (especially all the easy ones) and eventually get hit with a penalty. With a new update overdue, lots of sites will definitely disappear again in the rankings. I hope this link building techniques are taken with the right approach! You surely know how to do SEO. Great suggestions! As mentioned by Dennis, these tactics are only effective depending on how the link builder plans on using these. Personally, while forming a strategy using these techniques are good in forming a diversified link profile, I feel it’s still best to focus on earning links as a priority (building evergreen content, applying Skyscraper Techniques to your content creation strat, etc.). glad you liked the tips here. I didn’t know that link building has such so many ways! Definitely it will help me. Thanks again for your nice post. Glad you liked the tips included in this post, Azad. I hope they are going to help you! Glad to see your content on link building. Here you give most complete list of link building tactics for niche sites. Creating content is only half of content marketing. The other half is promoting your content.. As we know social media is an important ranking factor in google. I believe the best way to promote content is on social media. Link building is important, but it can be dangerous. Here you provide fully safe method to build link for niche sites. Many thanks for your great tips on link building. I believe that marketing the content is the big part of influence a site success. Glad you enjoyed the article, thanks for commenting. Thanks for showing new ways of backlinking, I normally miss Q& A sites. let me try to use thus on next campaign If you looking for a a. by the way Squidoo is out dated and its not available any more. At the time of this writing, Squidoo was still active. In august 2015, Seth Godin, the founder and owner of Squidoo, announced the social content platform, has been acquired by HubPages. Glad you liked the info here, thanks for your feedback. Thanks Erik Emanuelli for showing the right path in order to create backlink. This is really an impressive way to create backlink for a website. I have recently started a business website. Now, I am in the way to create backlink. I will keep your tricks in mind in order to do the backlink. glad to have you helped and thanks for commenting. Awesome post on link building. LB used to be pretty straightforward, but now there is a lot of fear of what and how to build due to all of the Google updates. Staying smart and not going overboard on any one technique is, I think, the key. This is a good reference – thanks! Link building can still give awesome results, you just need to do it the smart way. Thanks for your feedback, Christina. Thanks for providing the smart way to find the link opportunities for my niche. The ways that you have mentioned are really amazing. I am applying them for some days, and get very good result too! I just read some blog that are also suggesting to submit local business for niche website. How much they are profitable to create backlink in the business directory? I do not have any idea about this. Can you suggest any idea? Regarding the submission of local business, it depends on your niche and relevance, but yes, it gives benefits for your site at Google’s eyes. Thank you Erik for your reply. I was looking for my niche and relevance local business listing sites. Can you suggest me the way that I can use for finding easily? Thanks! Thanks for the feedback, Jennifer. Hey Erik,,You article is offering great information about link building but something i want to know is do bookmarking really helps in ranking as we mostly gets no follow links from bookmarking. And if we get do follow then also do they provide quality juice..?? Yes, dofollow links pass link juice, Joseph. However, you should look after getting both nofollow and dofollow. Make your link profile natural! I used some Social bookmarking website to give some juice to my website. But, seems that it did not worked for me. I think that they were of low quality. Now, I am going to try the web 2.0 and forum links. But, this time i am going to check DA and PA before making the links. Please suggest me some more ideas which i can implement on my website. For Me if content is king, then backlinks are queen. without both the Kingdom of blog is uncertain. If both are good we can get the best ranking. The Strategy you shared over here are master piece. These are important for perfect ranking. Thanks for the nice feedback, Gennie. Thanks a million for such an in-depth article. It is true that links can be achieved by writing great content (with topical keywords). Most important is relevancy of the link. However; I am totally agreed to Erik Emanuelli that anchor text should also be varied. Good to hear you enjoyed the post. Thanks for your comment, Abdul. This is a great post and I found this very useful for my niche site. Keep writing such quality material. Thanks for the thumbs up, Arun. Awesome tips I’m going to put into use to push mt site up the rankings before the year ends. It’s really a good time to have come across this. Time to create more content and get links to it in a variety of ways. Good luck with your site rankings, Lloyd. great post for link building everyday google make our life hard but articles like this provide the balance. Hi. Great post. I’m building my niche sites also and I’m looking for a link building strategies right now. This really amazing tips to do backlink. I am doing social bookmarking for my website but this is not working fine for ranking. I will follow this tips. Thanks.